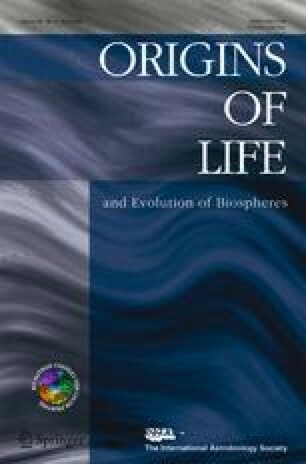 There is little consensus regarding the plausibility of organic synthesis in submarine hydrothermal systems (SHSs) and its possible relevance to the origin of life. The primary reason for the persistence of this debate is that most experimental high temperature and high-pressure organic synthesis studies have neglected important geochemical constraints with respect to source material composition. We report here the results of experiments exploring the potential for amino acid synthesis at high temperature from synthetic seawater solutions of varying composition. The synthesis of amino acids was examined as a function of temperature, heating time, starting material composition and concentration. Using very favorable reactant conditions (high concentrations of reactive, reduced species), small amounts of a limited set of amino acids are generated at moderate temperature conditions (∼125–175°C) over short heating times of a few days, but even these products are significantly decomposed after exposure times of approximately 1 week. The high concentration dependence observed for these synthetic reactions are demonstrated by the fact that a 10-fold drop in concentration results in orders of magnitude lower yields of amino acids. There may be other synthetic mechanisms not studied herein that merit investigation, but the results are likely to be similar. We conclude that although amino acids can be generated from simple likely environmentally available precursors under SHS conditions, the equilibrium at high temperatures characteristic of SHSs favors net amino acid degradation rather than synthesis, and that synthesis at lower temperatures may be more favorable. This work was supported by the NASA Specialized Center of Research and Training (NSCORT) in Exobiology, a grant from the UCSD Academic Senate Committee on Research, and in part by an appointment to the NASA Postdoctoral Program at the Jet Propulsion Laboratory, California Institute of Technology, administered by Oak Ridge Associated Universities through a contract with NASA. The authors would like to thank Dr. John H. Chalmers for laboratory assistance, and Dr. Evan A. Solomon and Prof. Joris M. Gieskes for helpful discussions. Special thanks are offered to Prof. Robert White and anonymous reviewers whose comments helped greatly improve this manuscript.